Writing medical content is a serious task, as people will make important life decisions based on what you’ve written. Good writers don’t just write fancy lines, they do effective research too. While researching, ensure that you compile information from legitimate websites that can be trusted, like acclaimed medical websites and medical reports/PDFs that you find online. Avoid websites where the information is not verified – this is a skill that you should develop with time. An eye for judging what data to use and what to avoid is an essential skill that a medical content writer should possess. While writing for the web, remember that you are talking to people through your words. Keep your tone conversational, and avoid words that you wouldn’t use naturally. Writers often use terms like ‘therefore’, ‘thus’, and ‘hence’ – not only are these archaic, they prevent them from connecting with the readers. These words feature prominently in most Indian academic books, so writers assume that it’s alright to use them – which is wrong. The attention span of most online readers is very low, so shorten your sentences and keep them crisp. If you can use one word in the place of four, go ahead and do it! Convoluted lines give way to grammar errors, so the simpler your lines are, the lesser you’ll have to worry about grammatical perfection. Remember, it’s highly unlikely that your readers are medical professionals. They might not understand terms that sound common to you. 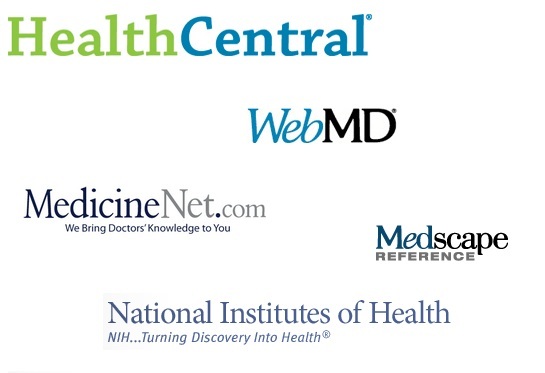 There are millions of health-related articles on the web, so why should anyone read yours? Give them a reason. Simplify. Don’t tell them that heart failure can cause pulmonary edema. Rather, explain what pulmonary edema is, so that the impact of your statement is greater. They’ll pay more attention when they learn that fluid can fill up their lungs. Break down complex medical terms and conditions and explain them to laymen in a simple manner. Use your experience in the field to focus on what’s important. Again, online readers have low attention spans, so you should spice things up for them. Framing a catchy title is a good way to grab a reader’s attention. Search engines through up thousands of results for every query, and a targeted title will give them a reason to click on yours. Consider this title for an article on the causes behind epileptic seizures. Seems pretty straightforward, right? Wrong. The target here is muddled, and there’s an element of uncertainty about the content of the article. Consider this title for the same topic. This title clearly states that you’re going to talk only about five key causes, so readers know what to expect. This title will naturally attract attention. Now, let’s just sync this with the topic we discussed earlier – the causes behind epileptic attacks. Why Should Readers Know The Causes? Visualizations have shown that readers browse through a web-page in an F-shaped pattern, reading the initial lines (horizontally) first and scrolling down (vertically) to decide whether the article is worth the read. If your article has informative subheadings and bulleted lists, chances are high that they’ll stick to the page. Ultimately, nothing works better than valuable content, so try and add value (through experience and research) to every article that you write. These medical writing tips will help your article attract attention, and once this is done, it’s up to you to reward the readers with good content. If you’ve gone through these medical writing tips and are ready to get started, apply for our medical writing jobs!